In less than 20 years, one in four people living in Toronto will be over the age of 65. And for the very first time in the province's history, Ontario is home to more people over 65 than children under 15. 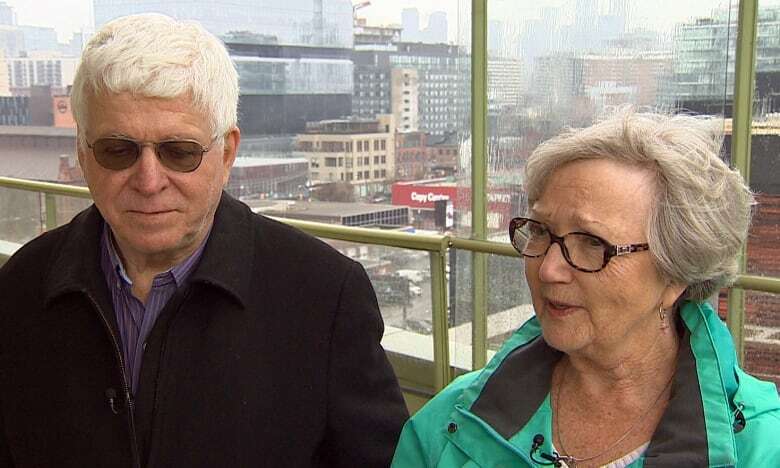 That dramatic and ongoing demographic shift also means a big change for how Toronto's aging population will live in the city, and it potentially poses challenges for condo boards and management as more seniors are choosing to "age in place." 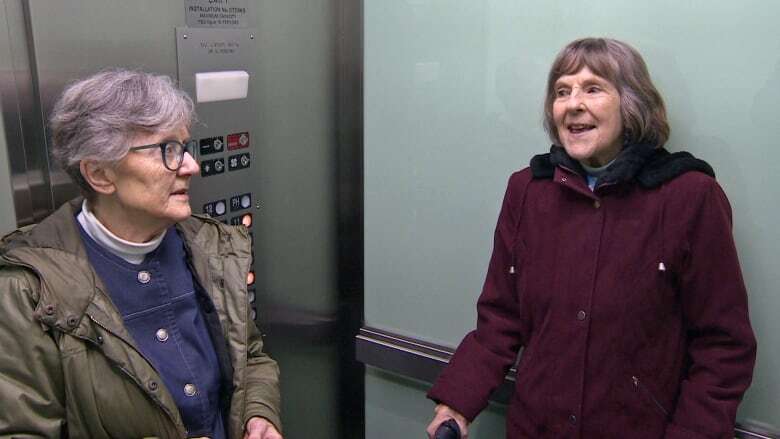 Penelope Tyndale and Julie Beddoes are two such seniors, both in their 80s, who currently live in the Distillery District — and have called the same condo building home for 17 years. "I've always dreaded being somewhere where I'm not part of the bigger world ... It doesn't matter how good the food is, or how great the gardens are in a [retirement] home — you're on planet zed. You're not part of the larger universe," said Beddoes. "My nightmare is being cut off from the world and from stimulus," added Tyndale, who is taking four classes at the University of Toronto and often attends concerts downtown. Both Tyndale and Beddoes are living the provincial government's aging strategy — which provides tools to allow seniors to live independently in their homes to avoid "premature admission to long-term care homes or hospitals." Between the challenges of maintaining a large home and the hot real estate market that is Toronto, many seniors are choosing to downsize into condominiums. After retirement, Tyndale and her husband wanted to move from Toronto to Barrie, but looking at their options, a house was neither affordable nor practical. She settled on a building in the Distillery District developed by Options for Homes — a non-profit developer that promises to pass on cost-savings to the resident and help with down payments. "It made it possible for us to have a bigger space," Tyndale said to CBC Toronto's Dwight Drummond. "It also had more of a sense of community and it was clear that this was going to be something new, an adventure." 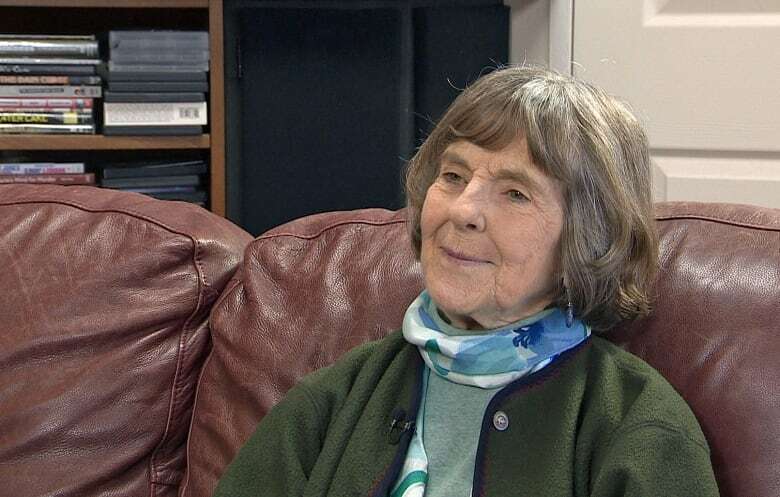 "If you walk along the Esplanade to the market, you better have spare time... because you're going to see lots of people," quipped Beddoes about her neighbourhood. A sense of community — or "age-friendly communities" — is one of the government's commitments in Ontario's Action Plan for Seniors. But as our population ages and downsizes to independent living condominiums, challenges will come up for individuals like Tyndale and Beddoes — as well as condo corporations. Megan Mackey, a partner at Miller Thomson LLP, sees more legal issues arising from the influx of seniors, and others with mental health issues, into condos. She cites an example where a condo corporation had to remove a 90-year-old resident's stove from his unit because he kept leaving it on, and it became a safety issue. The condo corporation didn't have the authority to remove the stove, but did anyway to protect other residents, she said. The unit owner's family was content to have the stove removed so the senior could stay in his condo. "A lot of times issues come up in enforcement, noise issues and safety issues like leaving the stove on — but you don't want to take these people to court, you want to try resolving the problems by finding ways residents can live together and, where necessary, involving the family in the solution," said Mackey. Another issue arises when some families presume the condo corporation can take care of their aging parent. 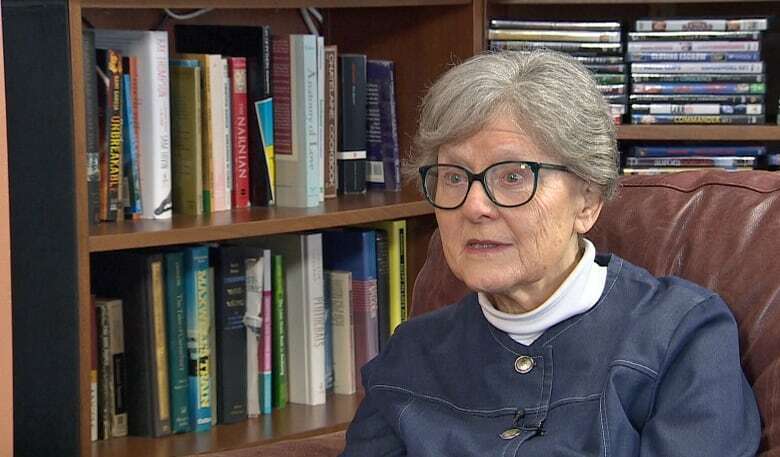 "People with dementia are being moved into condos by their families and some families expect the condo corporation to keep an eye on them ... but they shouldn't; that's not the condo's job," she said. She suggests condo corporations get next-of-kin information immediately when someone moves in, so if that person starts having issues, the family can be easily reached. 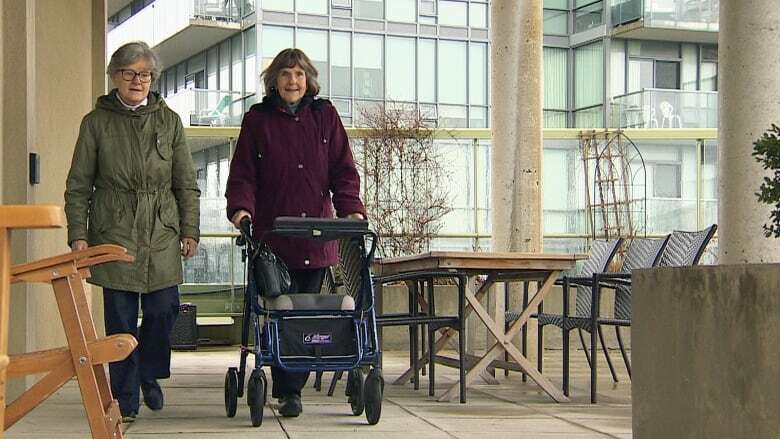 To help with overcoming some of the inevitable challenges that will come their way, Tyndale and Beddoes are spearheading a group called "Aging in Place" — where seniors in their building come together to discuss condo-living challenges and educate themselves on latest government policies. Isobel Collins, a member of the group, said she always wanted to live downtown. "A lot of my friends said, 'Are you crazy?!' — but it's been a terrific community," she said. "We have a community centre that's close by, hospitals are close by, theatres are close by … and hospitals are really important when you're starting to age!" A sense of community is exactly what "Aging in Place" has given to Lester Brown, who said his main concern moving into a condo was social isolation. "Not every condo was senior friendly," he said about his initial search. Beddoes, speaking with Dwight Drummond, had one last message she wanted to share. "The world seems to infantilize old people ... and there's always quaint little stories about people taking their dogs [to retirement homes] but I don't want people to bring their pets, I want to go and change my library book!" "We want to be out in the world. People visiting us and bringing their pets is condescending and infantilizing." What challenges do you face living in a condo, or how have you overcome any issues? Share your story with us. 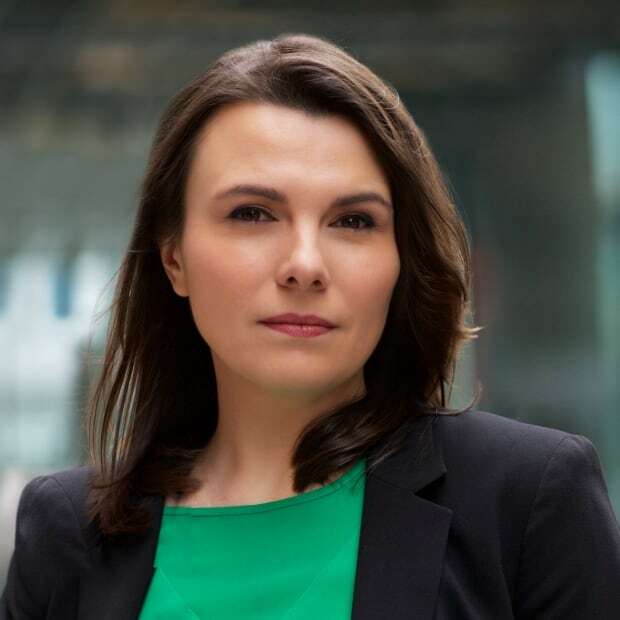 Alexandra Sienkiewicz is an award-winning TV producer with over a decade of newsroom experience. She started her CBC journalism career covering national news before moving over to the fast-paced world of local. She believes every news story starts at the local level and those are the stories she most loves to tell. In her off-time, Alexandra​ dabbles in food and wine, furthering her education ​as a sommelier​. Cohousing developments that promote 'aging in place' catching on in B.C.